Tensions between the president and Supreme Leader Ayatollah Ali Khamenei have been bubbling to the surface. Ahmadinejad is running out of options. The simmering tension between President Mahmoud Ahmadinejad and Supreme Leader Ayatollah Ali Khamenei is now out in the open, with developments over the past month exposing the fault lines within the Iranian establishment. And many have been left wondering what the future holds for the president. The problems started when Khamenei insisted on reinstating the intelligence minister, Heider Moslehi, who is believed to have resigned in April under pressure from Ahmadinejad. Khamenei is believed to have gone as far as issuing Ahmadinejad with an ultimatum – either accept his decision, or resign from the presidency. In response, Ahmadinejad boycotted the presidential palace for more than a week, declining to chair cabinet meetings and not attending religious services at Khamenei’s home. 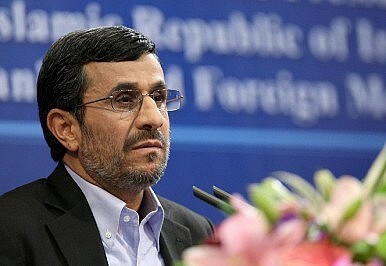 Yazdi’s remarks were issued after Ahmadinejad fired Moslehi without consulting him. Many Iranians believe that the supreme leader is God’s ‘representative’ on earth. No doubt the president was under significant pressure from the Iranian clergy to abide by the supreme leader’s decision. A report on the news website Azad Negar suggests that Moslehi had earlier ordered the replacement of the chief of the intelligence ministry’s Bureau of Planning and Budget, who was in fact backed by the president’s chief of staff, Esfandiar Rahim-Mashaei. Since Mashaei opposed the move, Moslehi was instead asked to resign. But the Moslehi issue is only one thread in the complicated tapestry of reasons behind the conflict. The key explanation for the tensions can actually be traced back to Ahmadinejad’s appointment of his close friend Mashaei as first vice president, shortly after the beginning of his second presidential term in 2009. At the time, Khamenei challenged Mashaei’s appointment, and Ahmadinejad had to reluctantly accept the supreme leader’s orders. However, he responded by immediately appointing Mashaei as chief of staff in the presidential office, a hardly less influential position. Khamenei’s supporters believe that the confrontation between the president and supreme leader began as Mashaei’s influenced grew, not least because he is opposed to the overarching role and influence of the clerics in Iranian politics. They also hold him responsible for the production of a controversial film. In May, a clerical court accused the president’s cultural council head of sorcery because he backed a film that declared that the Twelfth Imam, Mohammad Mahdi, would soon appear on earth, and that the three people who would pave the way for his coming are Khamenei, Ahmadinejad, and Hizbollah leader Hassan Nasrallah. The film sparked outrage among the clerics, who see Ahmadinejad as undermining their privileged spiritual position as the true representatives of the Hidden Imam and the interpreters of Islamic teaching. An Act of Self-Preservation: Why Iran Wants the BombElection Year = No Iran DealA Blueprint for Solving the Iran CrisisTime for West to Wise Up on IranAhmadinejad: Iran’s Last President?